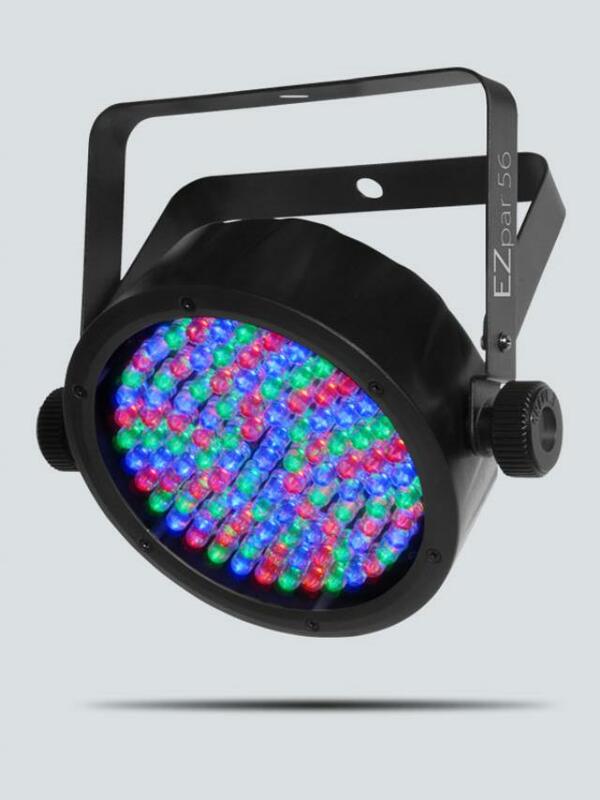 EZpar 56 is a battery-powered wash light designed to speed up the setup process by freeing the mobile entertainer from the hassle of running cables. 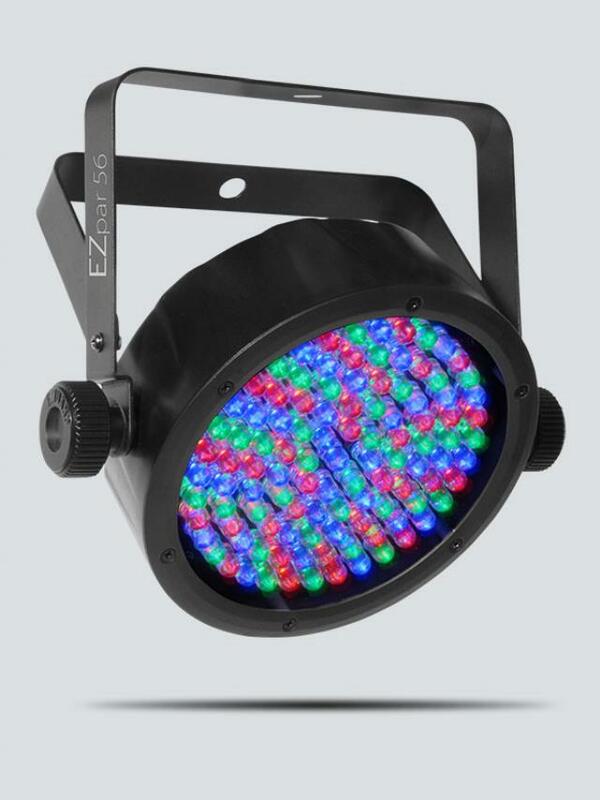 The rechargeable lithium-ion battery lasts up to 20 hours on a single charge and powers all 108 LEDs (36 red, 36 green, 36 blue) to deliver stunning colors. 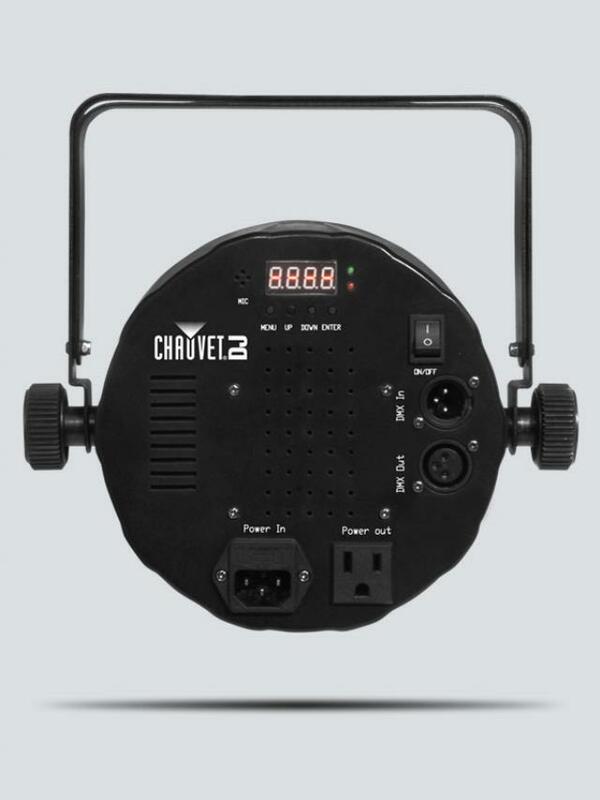 Built-in automated and sound-activated programs are accessible using the included IRC remote and in DMX or master/slave mode. Its compact design easily fits inside sticks of TRUSST and a built-in battery life indicator allows you to easily keep tabs on the remaining charge. EZpar 56 fits best in the optional CHS-25 VIP Gear Bag for secure and convenient transportation. * Please call us with any questions about our wireless par lights in Hammond LA.